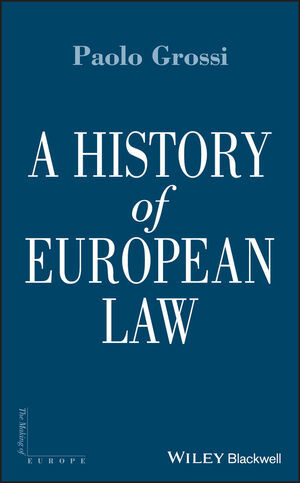 This book explores the development of law in Europe from its medieval origins to the present day, charting the transformation from law rooted in the Church and local community towards a recognition of the centralised, secular authority of the state. Paolo Grossi (born in Florence in 1933) is Professor of History of Medieval and Modern Law at the University of Florence, and a member of the Accademia dei Lincei. He has recently been appointed judge in the Constitutional Court of the Italian Republic. His most recent publications include Italian Civil Lawyers: An Historical Profile (2002), Law between Power and the Judicial System (2005), Society, Law, State: A Recovery for Law (2007), The Medieval Judicial System (2008) and First Lesson on Law (2008).